The Grayling area is known worldwide for trout fishing. 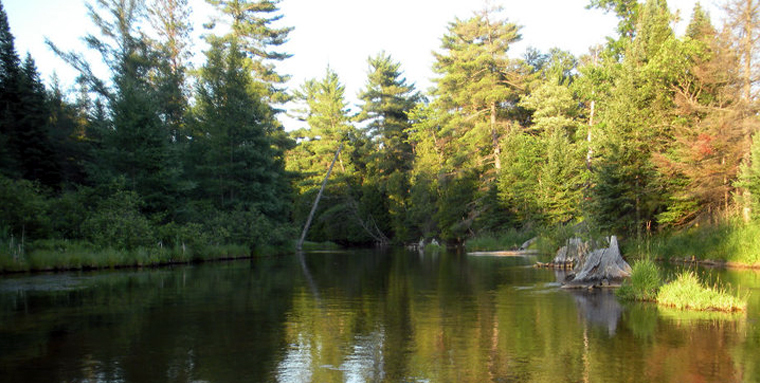 Two famous streams, the AuSable and Manistee, along with various branches provide angling for brook, brown and rainbow trout. Area lakes offer good fishing for bass, bluegill, walleye and pike. Higgins Lake along Crawford County’s southern border is widely recognized as one of the finest inland fisheries in the state. There are numerous lakes in Crawford County offering a variety of fishing opportunities, as well as something to offer for all varieties this sport has to offer. The great thing about fishing is that it’s available year-round. Fishing enthusiasts don’t need to wait until the winter is over before enjoying their favorite sport. In fact, about ¼ of fish caught in Upper Michigan, are caught during the ice fishing season. There’s nothing like the solitude of walking out on to the frozen lake, drilling your hole and waiting for that first nibble. For those who prefer the friendship and festive atmosphere, cold crystal morning on Grayling lakes bring dozens of shanty dwellers all competing for the best catch of the day. Don’t forget to bring your fishing license as well as your thermos of hot coffee or coco. 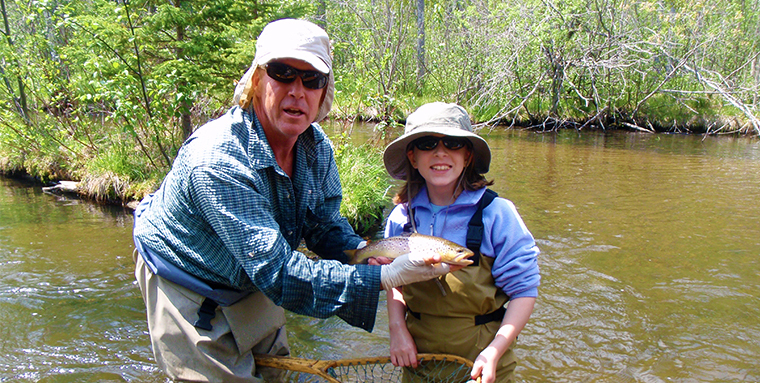 Fly fishing is a great way to relax, have fun and spend time with family and friends. It’s super easy to get started as all you need is a fly rod, line and ties. Fly fishing can be done from the shore or off your boat and the basic skills can be learned relatively fast. 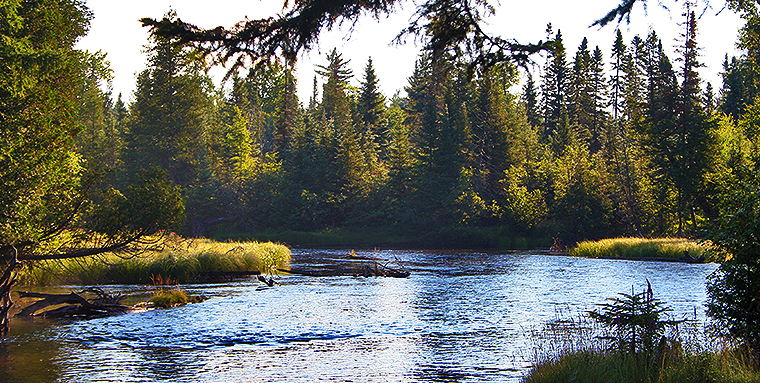 The pristine lakes and rivers of Grayling offer abundant options for fly fisherman to enjoy this popular sport. Fly fishing differs from bait fishing as it’s the weight of the line that sends the hook as opposed to the weight of the sinker. Though the sport can be easy and inexpensive to learn, those that get “hooked” will discover there’s a real art to the sport and plenty of finesse to choosing the right equipment. Grayling lakes provide the perfect environment for fish to live and thrive in. Unspoiled fresh waters produce vegetation for the fish to hide in as well as offer sustenance. The area’s lakes and ponds attract the locals as well as fishermen and women from all over the state and surrounding areas. Whether you’re taking the boat out for the day or fishing from a dock, lake fishing in Grayling is as good as it gets with its abundance of lakes and ponds that support a variety of fresh water fish. No need to worry if you need supplies or assistance, Grayling’s local landmark shops sell fishing supplies, trout flies, fly-fishing equipment, riverboat and wading guide services, live bait, spin and baitcast equipment. They will gladly help out with information about current hot spots, fly hatches, directions, and advice. Ice shanties are a common sight during winter months as the use of tip-ups yield a variety of fish. Please visit Skip’s Sport Shop for detailed fishing and hunting information.